"Mr. Cantu thought he was going to die," the tort claim says. 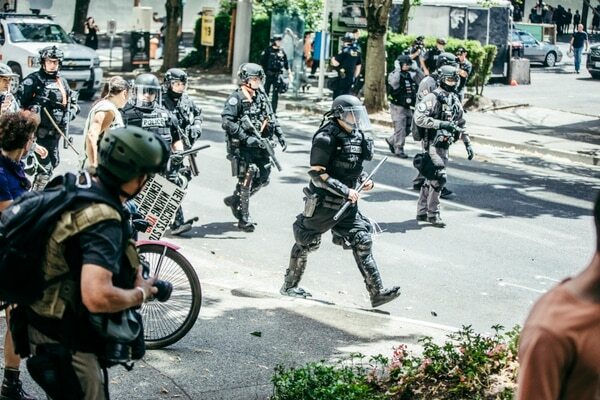 A Portland protester named Aaron Anthony Cantu says he was running away from police when he was struck in the back of the head with an explosive device that penetrated the bike helmet he was wearing. In a tort claim filed with the City of Portland on Sept. 19, Cantu's lawyers say he was standing between SW 1st Avenue and Naito Parkway on SW Columbia Street when police began firing flash-bang munitions at counterprotesters who had gathered to oppose a Patriot Prayer rally on Aug. 4. "Mr. Cantu thought he was going to die," the claim says. "Mr. Cantu had suffered a traumatic brain injury, likely one that would have been fatal had not he been wearing a bike helmet." Photos of Cantu's bike helmet quickly spread on social media after the protest. Portland police initially speculated that the explosive flash-bang munitions they fired with 40mm rifles would not have been able to penetrate a bike helmet if functioning properly. However, numerous reports exist that suggest the explosives can cause grave injury or even kill a person. The police bureau temporarily suspended use of the weapons pending an internal review to see if they were used correctly on Aug. 4. The Oregonian interviewed Cantu, but did not name him, after the protest and took photos of the helmet that appeared to still have the rubber tip of the explosive used by PPB lodged in its shell. Both the Portland Police Bureau and the city's Independent Police Review said they wanted to talk to him about his injuries and confirm the photos were authentic, but claimed they were unable to locate him. It was not clear what efforts law enforcement had made to track Cantu down, and he freely identified himself today with the legal filing. Cantu's tort claim, which is a formal notice of his intent to sue the city, says he did not hear dispersal orders that were given at the intersection of Naito Parkway and SW Columbia Street. He did not see any signs of violence or projectiles thrown by the protesters. Video footage has not confirmed police claims that protesters threw objects at officers before the first flash-bang was shot into the crowd. Cantu ran toward SW 1st Avenue after the first explosion. The claim says Cantu heard three more loud booms before he was struck in the head. He fled through an intersection that was open to traffic and tried to get treatment from a street medic at a bus stop, but police continued to use riot control devices on the crowd and Cantu had to move again. At a hospital, doctors put a tube in his head to drain blood that was pooling from a hemorrhage caused by the explosion. Cantu is being represented by Juan Chavez, director of the civil rights project at the Oregon Justice Resource Center and attorney Crystal Maloney. 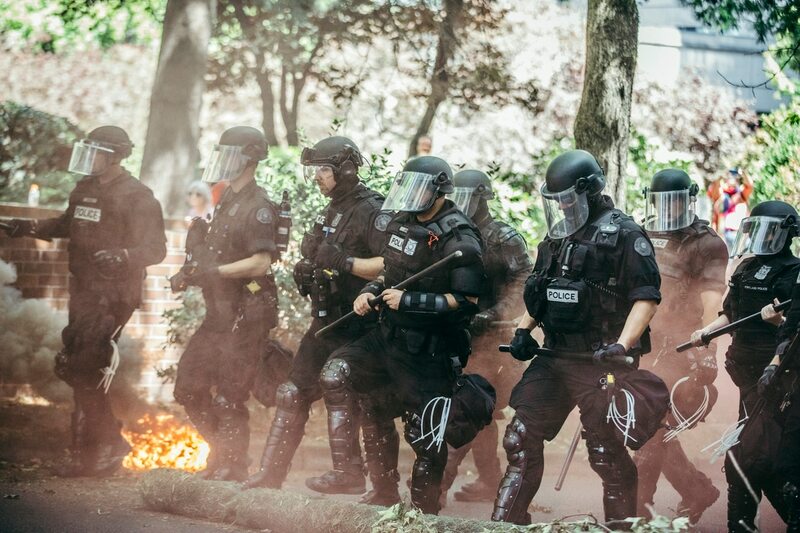 The claim alleges that Portland police have engaged in a pattern of deploying unreasonable force against left-wing protesters, and highlights Aug. 4 as one of the worst examples the city has seen. "The Portland community has been subject to this treatment—nearly exclusively on left-wing protesters—by the Portland Police at protests before," the claim says. "However, on August 4, 2018, the Police's willingness to use so much lethal force on fleeing protesters represents a new low that needs to be addressed." Cantu's tort claim is at least the second to be filed after the Aug. 4 protest. 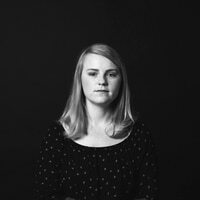 Another protester, Michelle Fawcett, filed a tort claim against the city on Sept. 13 after being hit in the arm and chest with a flash band that gave her third-degree chemical burns. Mayor Ted Wheeler's office could not immediately be reached for comment.